If you’re familiar with Circue Du Soleil, you’re definitely going to love CIrque Du Soleil Kooza Slots – it’s magical and oh so rewarding! Good luck! 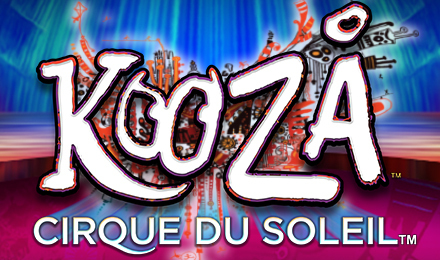 Head to the circus and win big when you play Cirque Du Soleil Kooza Slots at Moon Games! It’s filled with acrobatics and exclusive bonuses that are simply irresistible! There are 40 paylines, a 96% RTP , a Bonus Wheel and Box Pick, and 2 FREE Spins Features! Get your tickets and get ready for an incredible show. The fun waits for no one, so login today!